A destination that will get the whole family moving and bring out the child in everyone. 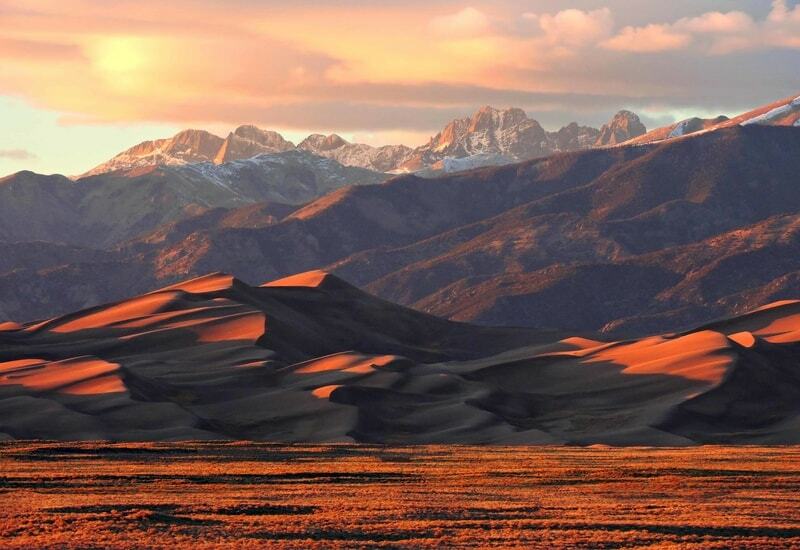 Sand Dunes in the Mountains? 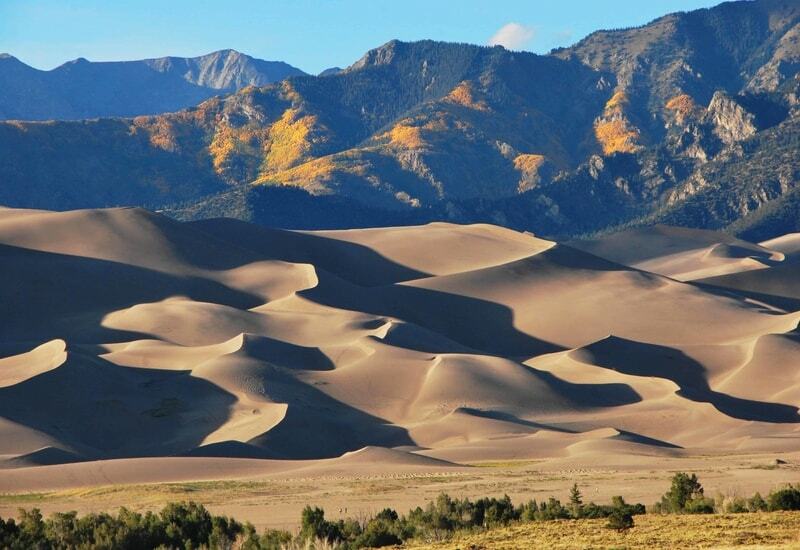 Driving up to the Great Sand Dunes National Park, you cannot help but wonder, How did so much sand get there at the foot of such tall mountains? As you approach, the size of the dunes is mind-boggling, and what you see is only the beginning! The fee to get into the park is 20$ USD for one vehicle. This gives you a 7-day pass. The dunes and the Visitor Center can be experienced in all seasons, but the best time to enjoy them to the full is in summer time. You can camp, or hike the mountain trails, where the various climate zones harbor some plants and animals unique to the area. In the Visitor Guide, you will find hiking suggestions and activities information geared to the time you plan on spending in the park. Playing in the creek at the foot of the dunes, scaling, sledding and rolling down the dunes are the most popular way to enjoy this giant sand box. 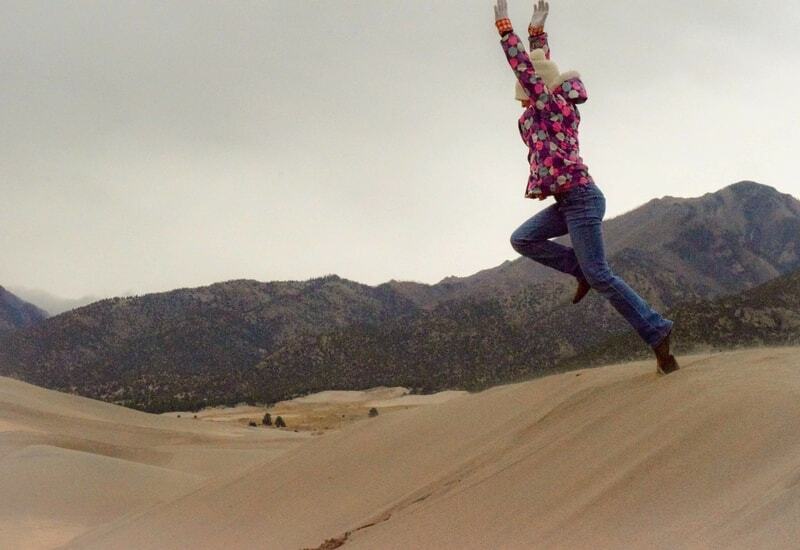 Who knew sand could be so much fun? The visitor center has a beautiful video that will teach you a lot about the formation of the dunes. In a nutshell, the sand is carried by creeks and wind, trapped at the bottom of the mountains where it is shaped and blown into dunes. The full explanation is much more complex and involves an amazing system that is awe-inspiring. The kids will enjoy the activities and displays in the Visitor Center, as well as the Junior Ranger Booklet. What our children loved the most was learn about sand that was magnetized by lightning strikes and pick it up out of a sand bin with a magnet. Sand can get very hot in the summer months! Wear closed-toe shoes and hike earlier or later in the day to avoid heat exhaustion. If you hike in the backcountry, let someone know of your plans. Lightning strikes are a real danger! It is recommended to hike in the morning to avoid afternoon thunderstorms in the summer months. If caught in a lightning storm and in danger, crouch in a low-lying area or on top of a pack to prevent ground charge. Watch out for altitude sickness symptoms. Drink plenty of water and hike slowly. If feeling headache, shortness of breath, and nausea, you should pause, hydrate and slowly hike down. It is bear and mountain lion country. Never feed or approach them or other wildlife. Keep food out of reach and out of sight. Pets are allowed on a leash in certain areas. Don’t forget to hydrate them and protect them from heat exhaustion as well. 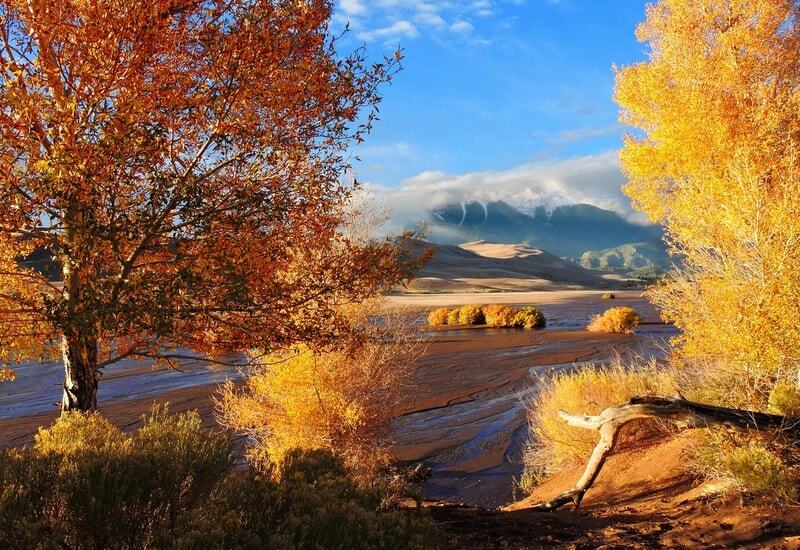 If you are privilege to live close enough to the Great Sand Dunes National Park, be sure to visit it in different seasons and times of the day. 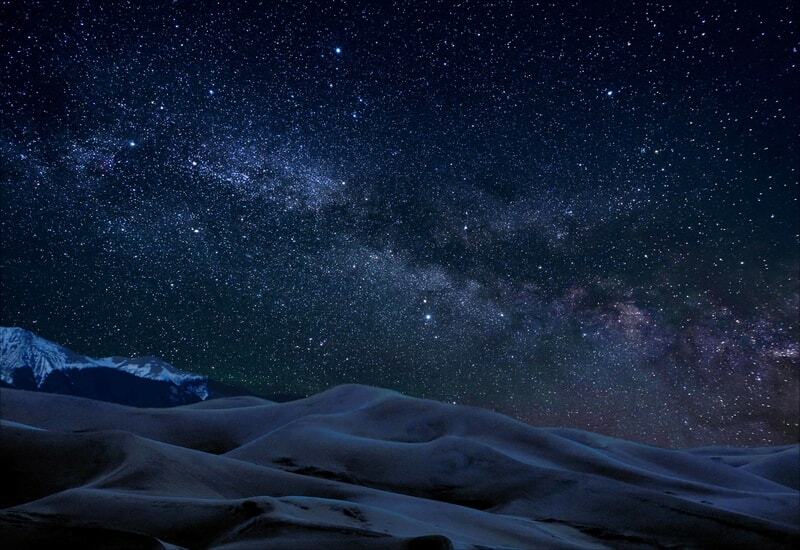 Watching the sunset, moonlight and starry skies are other ways to enjoy the ever-changing beauty of this unique Colorado landmark.